Princess Sophia of Greece starred in one of the most famous royal weddings of the 20th century. The eldest child of King Paul and Queen Federica of Greece wed Juan Carlos of Spain in Athens with royals from across Europe watching on. At the time, Juan Carlos' chances of taking the Spanish throne were far from assured. The bride changed the spelling of her name (to Sofia) and her religion on her marriage. Thirteen years later, she became Queen Consort of Spain on the accession of Juan Carlos. Their son is now King Felipe VI. A very royal wedding indeed. The second of the four Haga princesses, Birgitta was the first of the sisters to marry. She wed Prince Johan Georg of Hohenzollern in a civil ceremony on May 25th 1961 at the Royal Palace in Stockholm. We got another look at the fabulous 60s wedding dress a few weeks later when the couple's religious marriage took place in Sigmaringen, the groom's family home, with the bride converting to Catholicism. Birgitta and Johan were rare among Swedish royal couples - most of them marry in June. The couple had three children. Prince Johan Georg of Hohenzollern died in 2016. 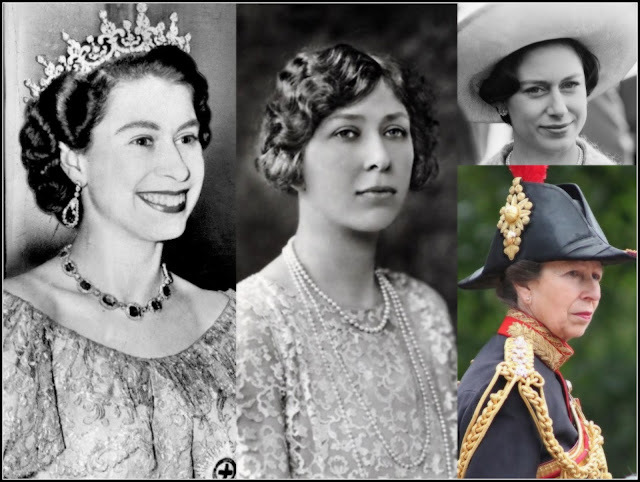 Margaret Rose, younger daughter of George VI and only sister of Elizabeth II, was guaranteed a big turnout for her wedding at Westminster Abbey because of her family links but her romantic history made this marriage a must see. Margaret had famously given up the chance to marry Peter Townsend, the divorced man with whom she had fallen in love, not long after her sister took the throne. When she found happiness with photographer Antony Armstrong-Jones, the world watched their wedding to see a fairytale ending for this fairytale princess. It was about as glitzy and glamourous as royal weddings come with a dress for the history books and a title, Earl of Snowdon, for the groom. The happiness didn't last - the couple had a son and daughter but divorced in 1978. Margaret died in 2002, the first Earl of Snowdon passed away earlier this year. Mary Elizabeth Donaldson, May 14th 2004 The spring of 2004 was a big one for royal weddings and first to walk down the aisle that month of May was Mary Donaldson who wed the handsome prince she'd met in her home country of Australia almost four years earlier. 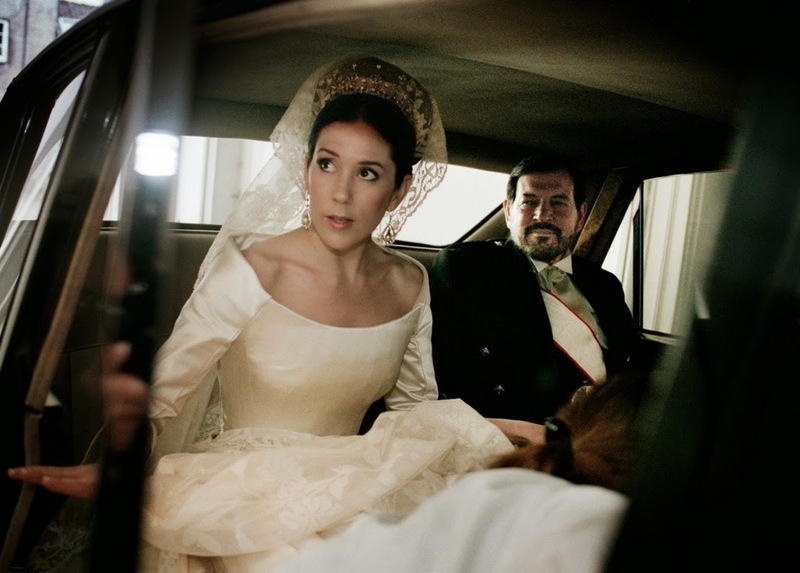 Mary became Crown Princess of Denmark in Copenhagen Cathedral when she married the heir to the country's throne, Frederik, in a ceremony attended by royalty from around the world. 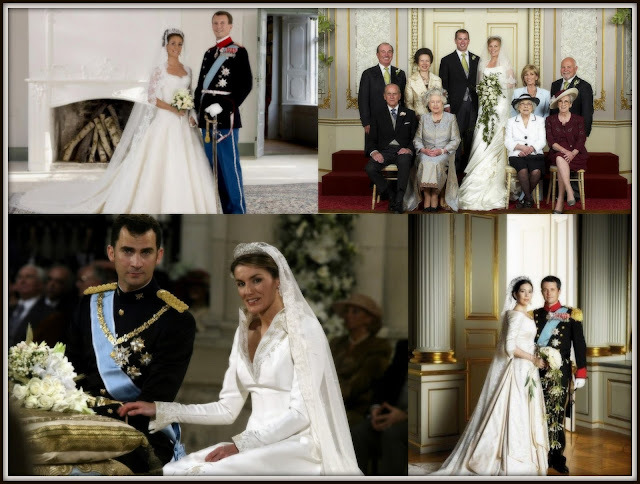 Letizia Ortiz Rocasolano, May 22nd 2004 Just eight days later, former journalist Letizia Ortiz married the then heir to the Spanish throne in another ceremony packed with kings, queens, princes and princesses. Letizia was a convtroversial bride as she had been married once before. Her wedding to Felipe, Prince of Asturias at the Almudena Cathedral in Madrid was watched by millions. On June 19th 2014, she became Queen of Spain on the accession of her husband as King Felipe VI. Petra Laurentien Brinkhorst, May 19th 2001 Always known by her middle name, Laurentien Brinkhorst became the first daughter-in-law of Queen Beatrix of the Netherlands in May 2001 when she married the youngest of the three royal sons, Prince Constantijn, in The Hague. Their civil ceremony took place on May 17th with the religious marriage taking place on May 19th at the Grote of St Jacobskerk in front of royal guests from around Europe. Also in the congregation was Maxima Zorreguieta who would become a royal bride herself nine months later. Princess Laurentien's husband, Constantijn, is now fourth in line to the throne of the Netherlands. Autumn Patricia Kelly, May 17th 2008 We got another double dose of May royal weddings in 2008 and the first bride of that spring was Autumn Kelly who married the eldest grandchild of the Queen, Peter Phillips, in a service at St. George's Chapel, Windsor that caused quite a stir as the happy couple had sold their wedding photos to Hello magazine. Peter Phillips was the first of the Queen's grandchildren to marry and the couple now have two daughters, Savannah and Isla. Marie Agathe Odile Cavallier, May 24th 2008 The second royal wedding of May 2008 saw Marie Cavallier become the second wife of the second son of Margrethe II of Denmark. Marie, who was born in Paris, married Prince Joachim at Mogeltonder Church with royalty from around Europe in the congregation. The couple now have two children, Henrik and Athena, together.